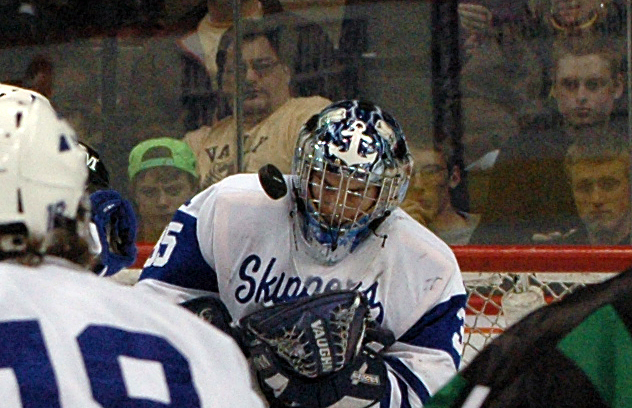 Erik Baskin was in quadruple overtime with the puck on the stick and the net to his right. Why not see if he could finish this thing, he figured. 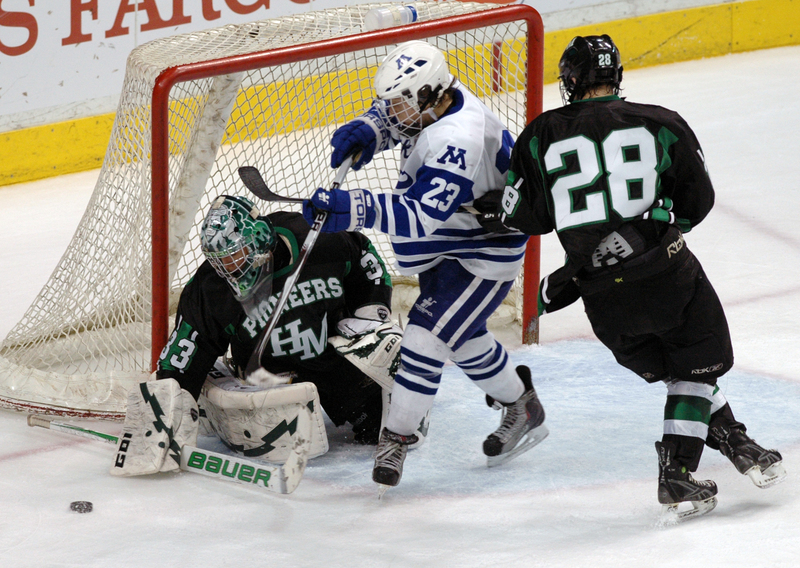 “I was just trying to send everyone home,” said Baskin, the Minnetonka sophomore who ended one of the longest games in state tournament history by stuffing a seemingly innocent wraparound shot past Hill-Murray goaltender Tim Shaughnessy, giving the Skippers a 2-1 triumph in the state Class AA semifinals at the Xcel Energy Center in St. Paul. Baskin's goal came 2 minutes, 31 seconds into the fourth overtime of the thriller that began at 8:39 p.m. Friday, March 12, and stretched into Saturday by its conclusion. 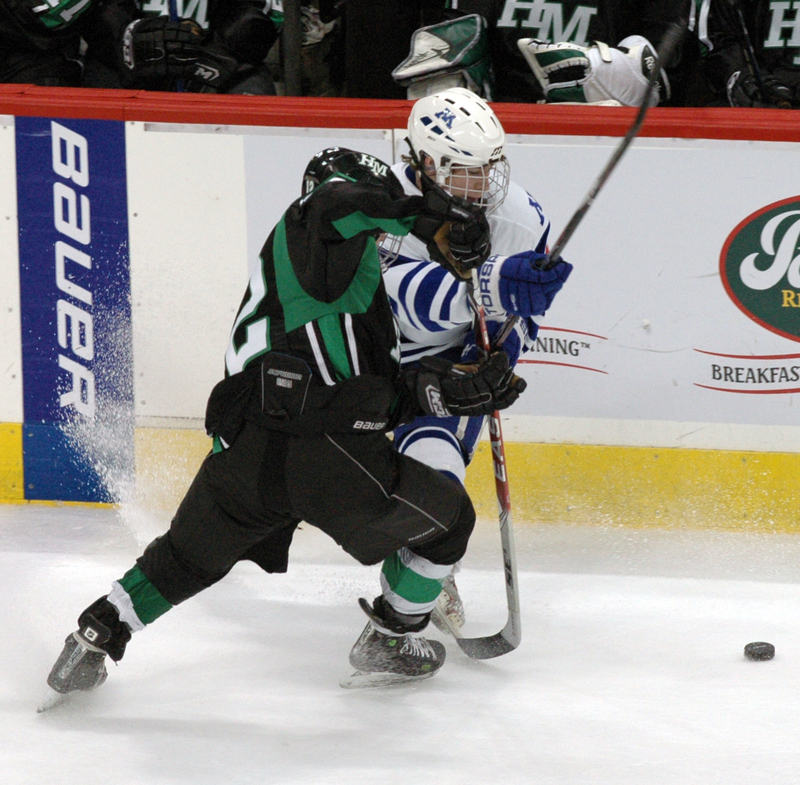 By beating fourth seeded Hill-Murray (26-3-1), Minnetonka (27-1-2) earned a date in the state final later the same night against Edina. Most of the announced crowd of 19, 253 was still there to the 12:22 a.m. finish in a game that approached the fabled “Game That Wouldn’t End” (Apple Valley’s state tournament- record five overtime win over Duluth East in the 1994 semifinals), in elapsed time. The Eagles’ victory over the Greyhounds went 93:12 of elapsed time; the Skippers needed 86:31 to finish off the Pioneers. “That was real tough,” Hill-Murray senior defensman Chris Casto said about the physical toll of the game. “I’m sure it was the same for both teams. But adrenalin kicks and you try to fight through it. Casto scored the only goal for the Pioneers in the first period, just more than four minutes after Andrew Prochno had wheeled around him for a goal that put the Skippers ahead 1-0. After Casto’s tying goal, and until Baskin’s, the goaltenders commanded center stage. 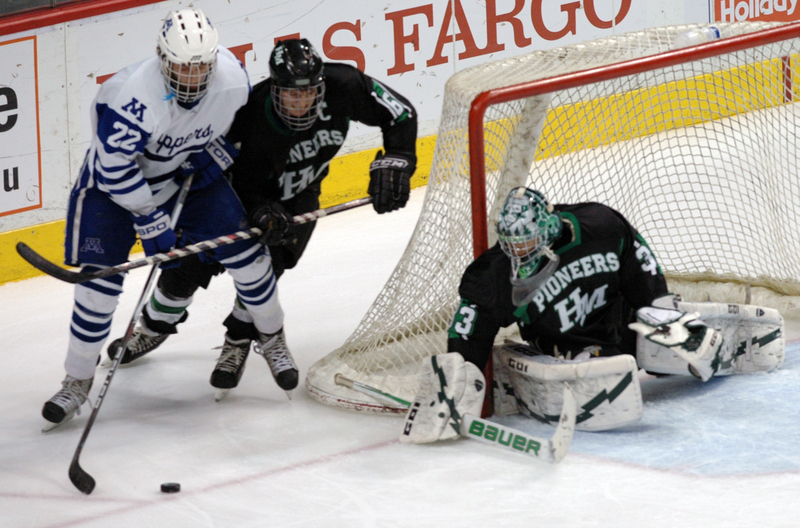 Hill-Murray fired 43 shots on Minnetonka senior Jim Kruger, and Shaughnessy finished with 27 stops for the Pioneers. The unflappable Kruger, in particular, was a show stealer. His biggest save in the game (about a game and two-thirds in clock time, actually) might have come during the final 20 seconds of regulation when he managed to extend his left leg in front of a shot by Willie Faust. Pressure? What pressure, said Kruger, a senior who's been the Skippers' starter for three seasons. “It sounds kind of crazy, but for me that game just flew by,” Kruger said. “It’s probably, whatever, one in the morning right now, but it seemed like it just kind of flew by. The other guy with the best view to the spectacle couldn't disagree. "It was probably the best defensive job I have ever seen in my career of hockey," said Shaugnessy, who saw only three shots in the second and third periods combined. "It was unreal, they were blocking shots left and right. They weren’t getting any opportunities, they were letting me see the puck, it was unreal." Hill-Murray, the tournament’s No. 4 seed, dominated most of the 51 minutes of regulation, holding a 24-9 shots on goal advantage as the teams headed to the first overtime. 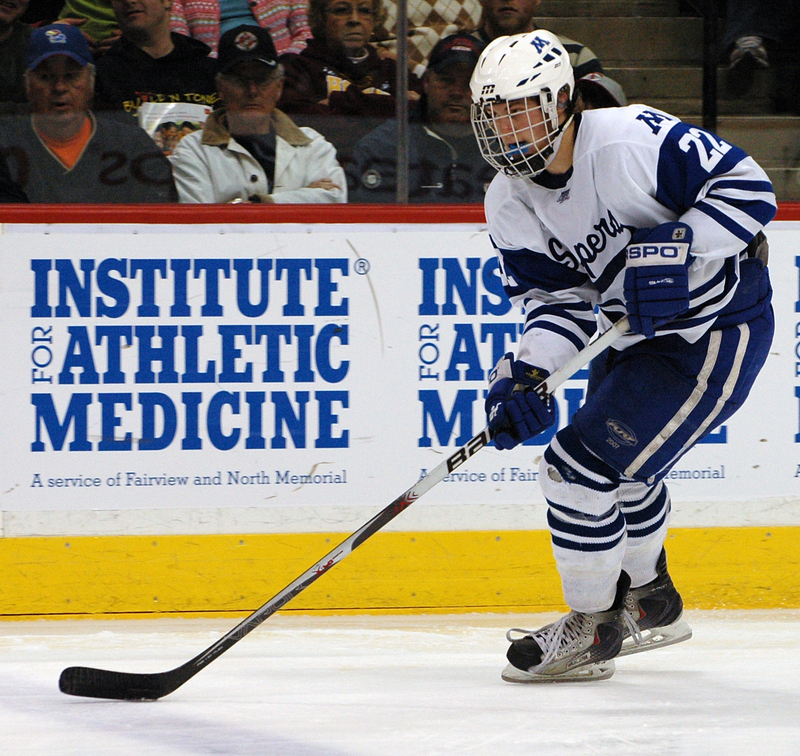 Amazingly, Minnetonka's only shot in the third period was a dump in by defenseman Troy Hesketh with 2:27 remaining. 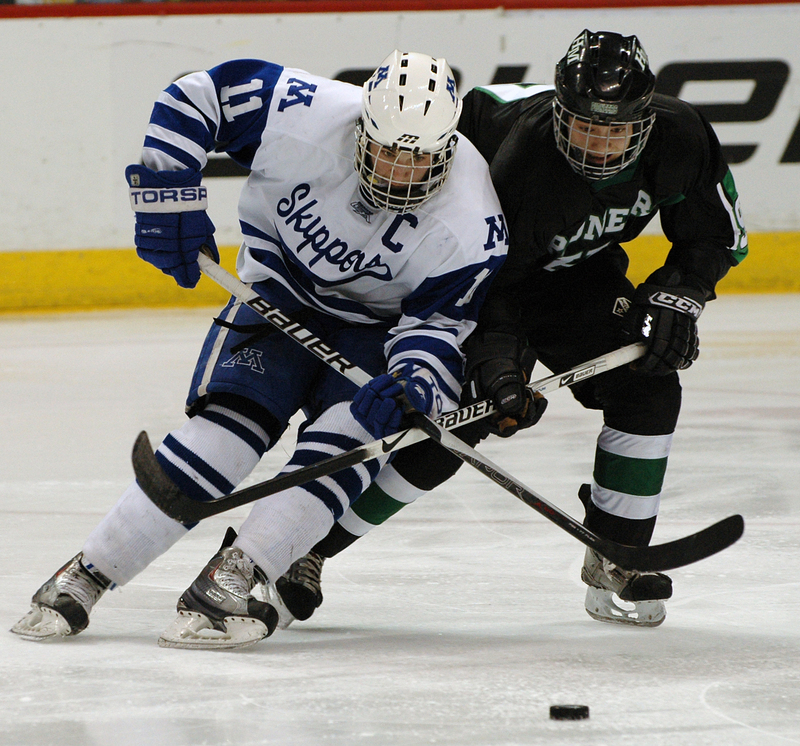 "Coming into this game, since it was big Minnetonka, I expected to get 40 shots," Shaughnessy said. That top-seeded and No. 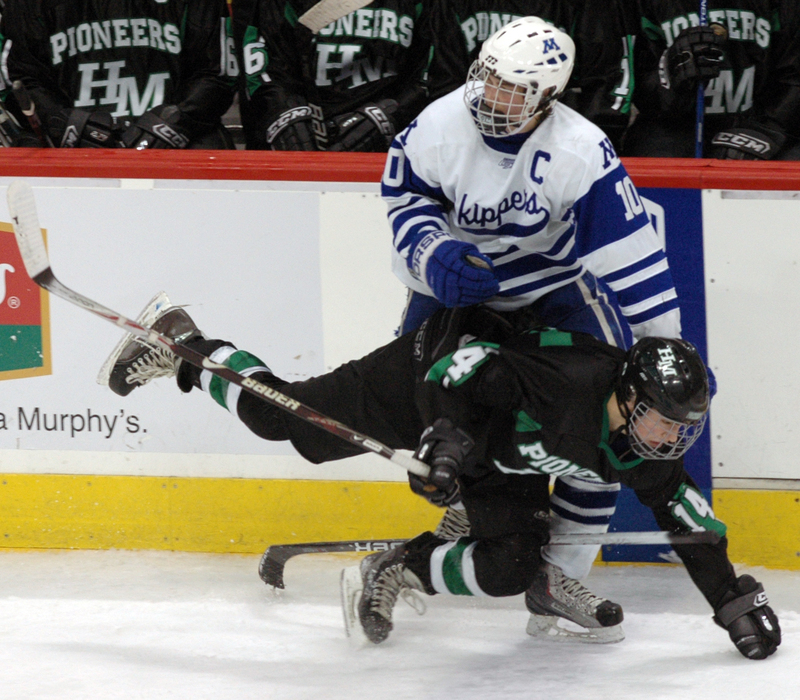 1 ranked Minnetonka, a run-and-gun team that averaged 6.04 goals per game (fourth best in the state) during a dominating regular season was virtually put in shackles by the Pioneers was almost as stunning as another of the game's oddities: not a single penalty was called. "I expected a little more up and down play," Shaughnessy said. "I expected a couple of penalties too, but there were no penalties called in the game, it was actually kind of nice. It kept the game flowing." 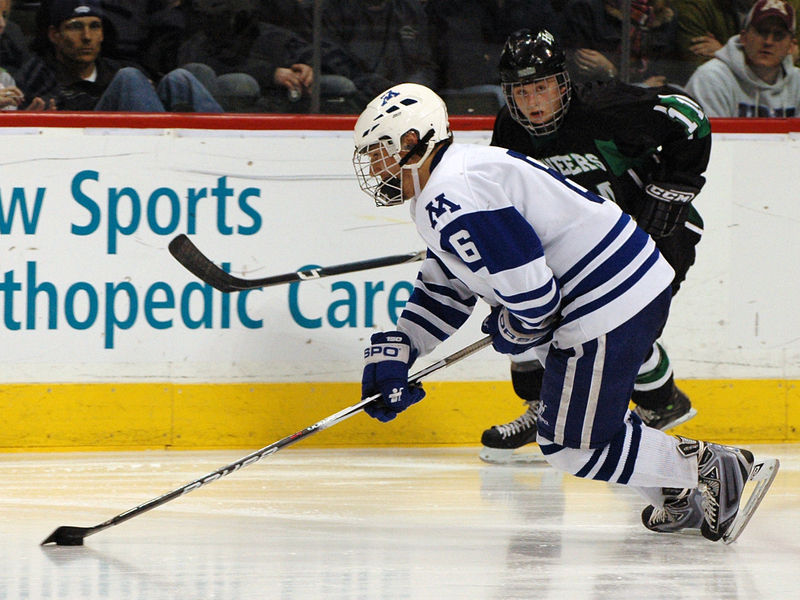 The overtimes alternated from 8-minute periods to the standard 17, and Minnetonka had as many or more shots and scoring chances than the Pioneers in all but one of the overtime sessions. 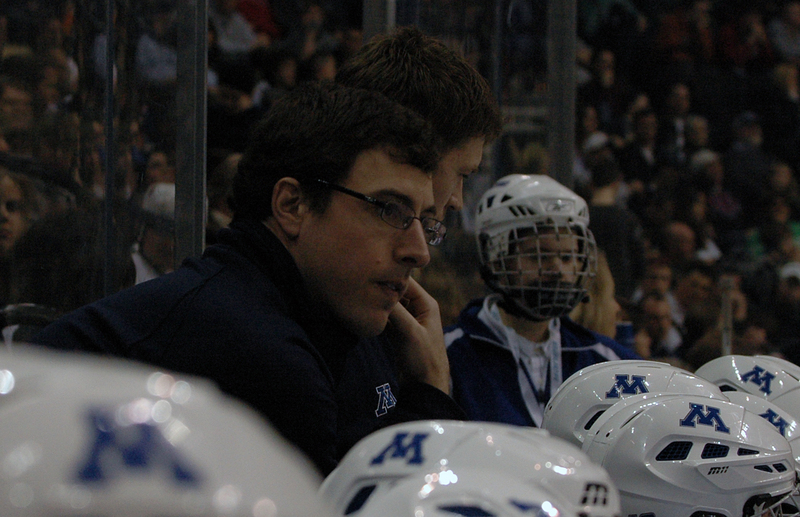 “It might have helped us in the long run that we didn’t show up for three periods,” Minnetonka coach Brian Urick said. “We stood around, and we didn’t really waste any energy because we weren’t really going. So maybe that that helped us in the overtime. 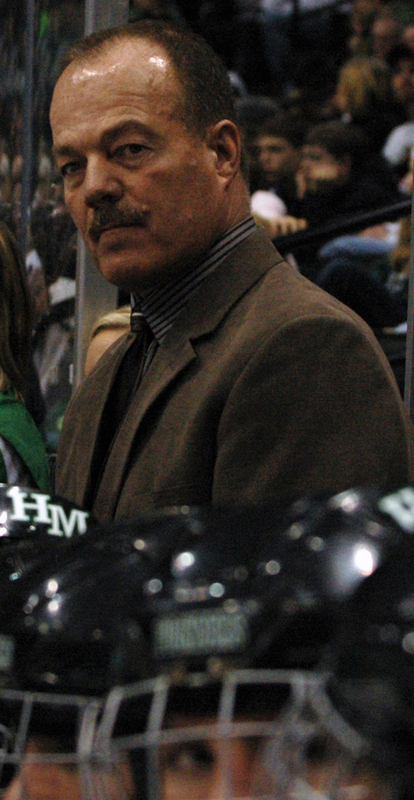 Both coaches metioned the often dominant play of Hill-Murray's "15-9-11" line. Willie Faust, Kevin Becker and Ben Bahe controlled the puck in the Minnetonka zone for full shifts during the early going, and showed flashes of the same brilliance in the overtime. 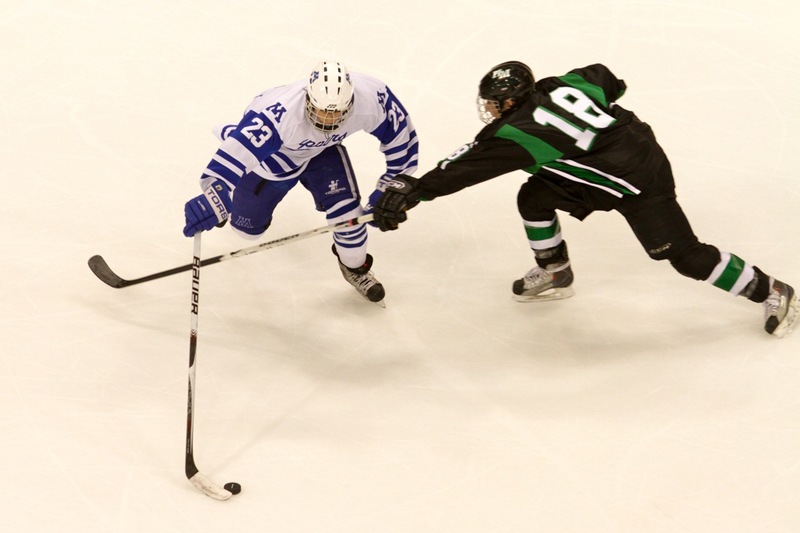 "There were times it kind of looked like they were on the power play I thought in the overtime," an emotionally spent Hill-Murray coach Bill Lechner said about his top forward unit. "You feel bad for the kids. They are winners. I think they proved very much that they are a top team." Lechner had a hard time summarizing his emotions after watching his Pioneers, who won the 2008 Class AA championship, lose in agonizing fashion. "All kinds of emotions right now," he said. "In the scheme of life, it doesn’t mean anything, but this chapter right now, it’s a tough page to swallow." 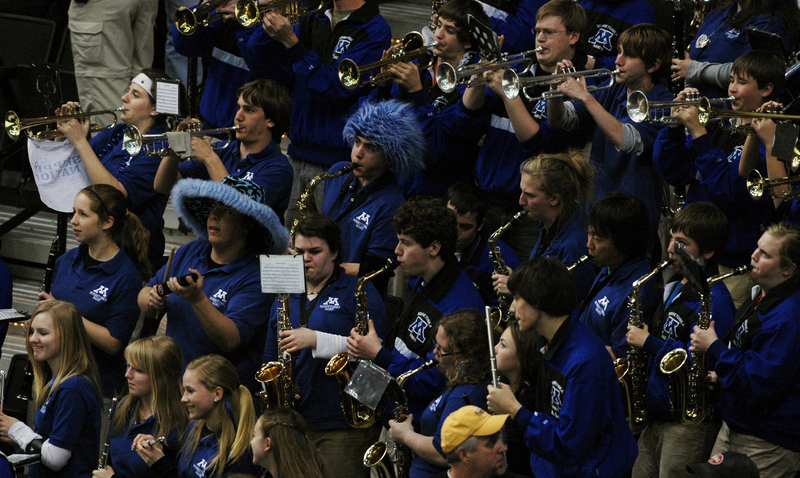 For Baskin and the Skippers, the celebration was joyous but short lived. 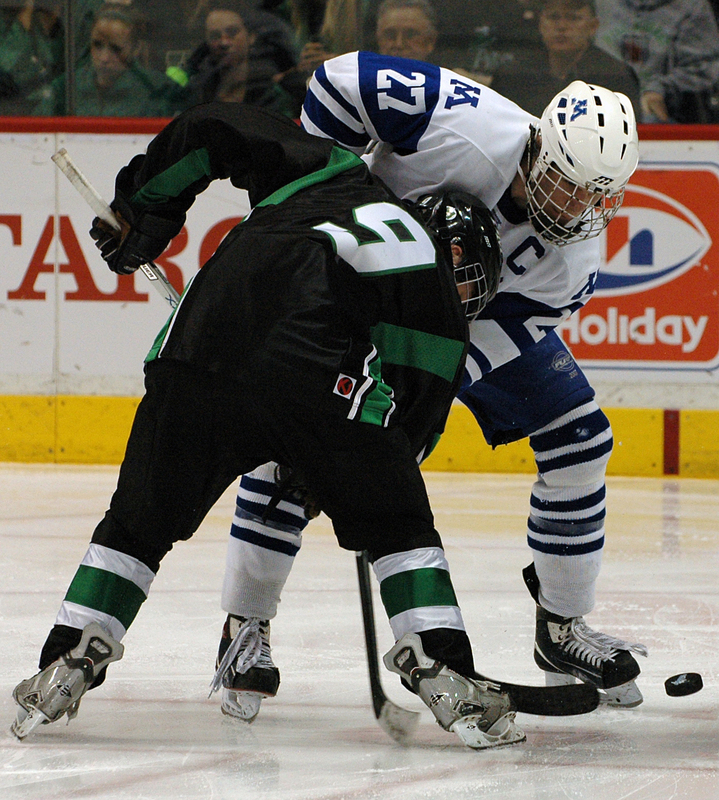 Not with Edina, the only team to beat Minnetonka this season, awaiting in the championship. "I have always had kind of a scoring touch," said Baskin, who has scored five of his 11 goals this season in either the playoffs or a late-season showdown with with No. 2-ranked Wayzata. "I feel like I scored the biggest goal of my life. "It's going to be a tough game against Edina." 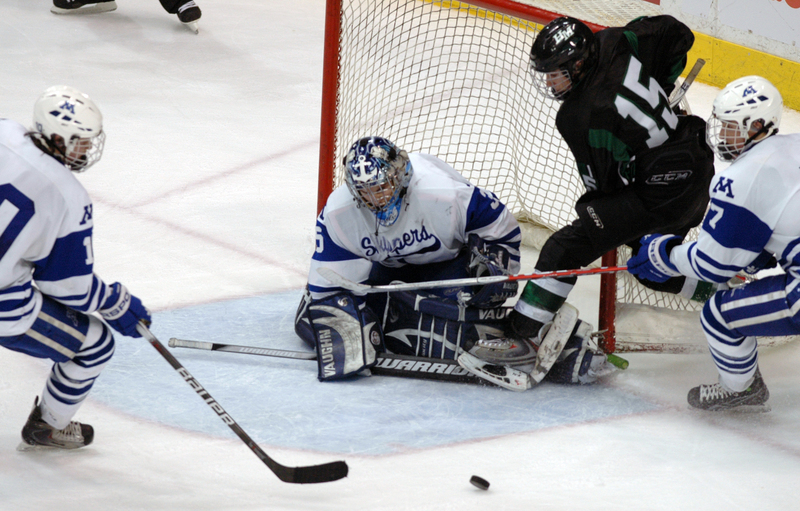 Baskin, one of Minnetonka's more unheralded forwards, sent the Skippers' fans into a frenzy well after midnight, netting the game-winner in the fourth overtime. It was his third goal of the playoffs, as he also scored big goals in the Section 6AA semifinal against Benilde-St. Margaret's and the section championship against Eden Prairie. Kruger was on top of his game, stopping 42 of 43 shots, including several key saves in the overtimes. 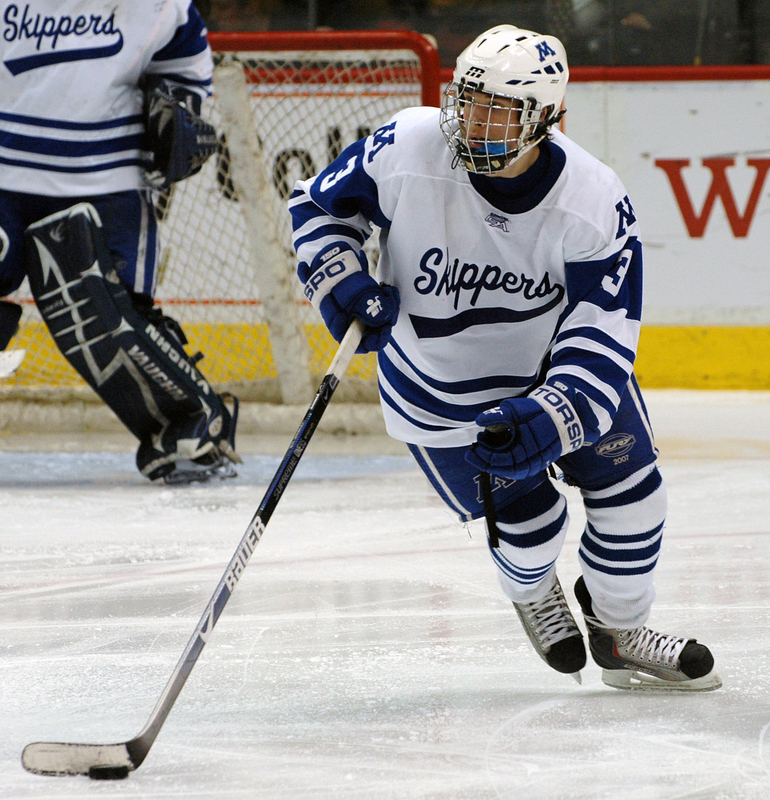 While Minnetonka had trouble generating offense in the final two periods, the unflappable Kruger kept the Skippers in the game. Shaughnessy didn't get much work through long stretches of regulation, but when called upon in the overtimes, he was ready. After seeing just three shots over the final two periods, Shaughnessy made 19 saves in the extra sessions. 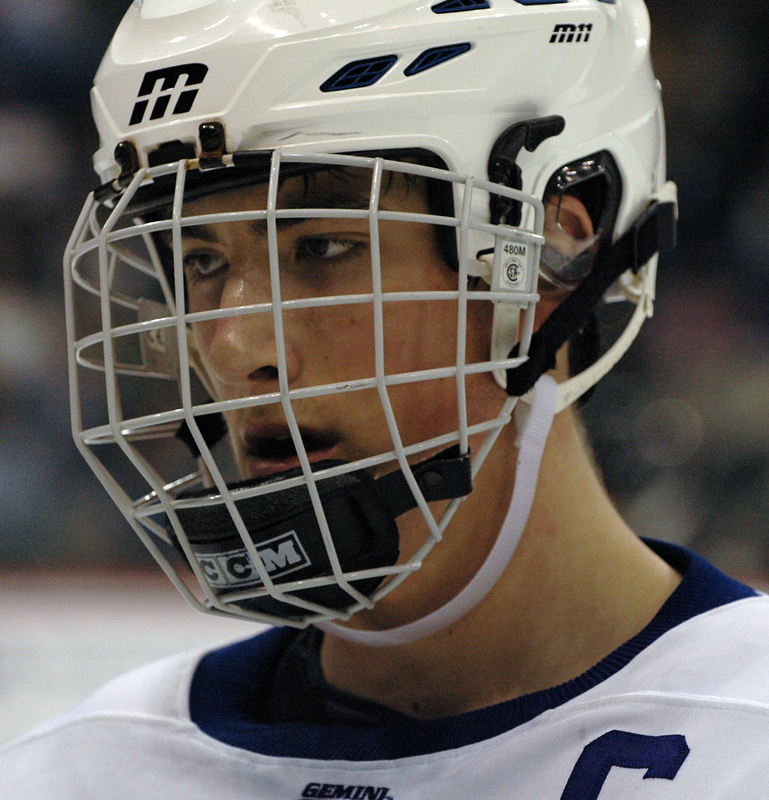 Minnetonka senior defenseman Justin Holl said there were some telltale signs that Skippers senior goaltender Jim Kruger was about to play the game of his life against Hill-Murray. "I just knew he was in the zone from the very start," Holl said about Kruger's amazing 42-save performance in the 2-1 quadruple overtime win over the Pioneers. "He said right away they aren’t going to get a natural goal on me. By natural, I mean like their goal was kind of funky, it went off the glass bounced out right in front. It was kind of one of those weird goals." Chris Casto scored the lone goal for Hill-Murray, a goal Casto described as a garbage goal, after a bouncing puck hopped in front of Kruger in the crease. 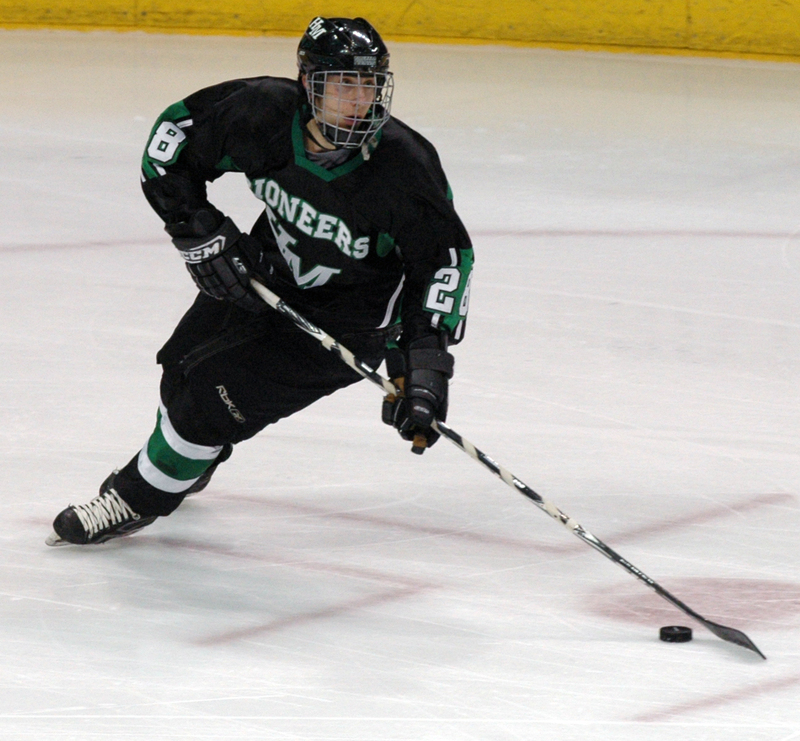 Hill-Murray defenseman Chris Casto, a UM-Duluth recruit, was a central figure in both first period goals. 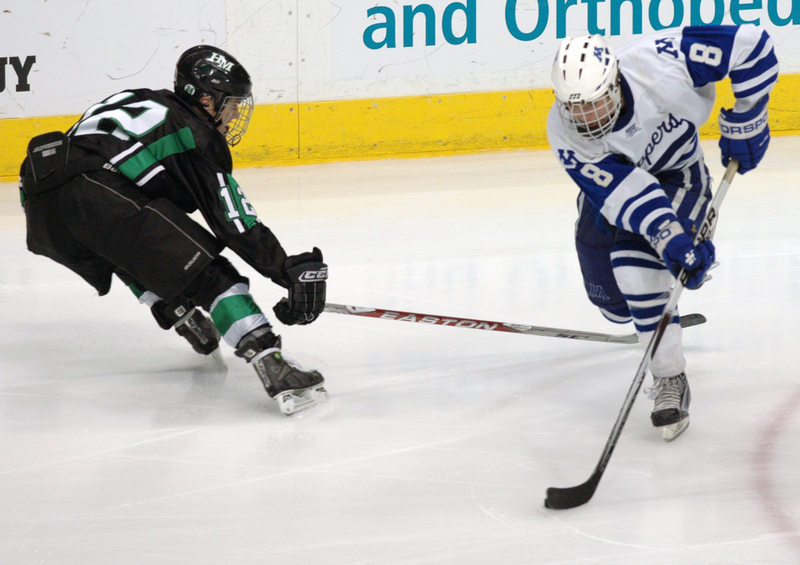 Minnetonka defenseman Andrew Prochno barreled around Casto en route to a goal that put the Skippers ahead 1-0 with 4:51 remaining. With 28 seconds left in the period, Casto -- cruising down the slot as he joined the rush -- popped a loose puck past Skippers goaltender Jim Kruger. Hill-Murray was credited with seven shots on goal in the opening period, two of which came off the stick of junior forward Kevin Becker. 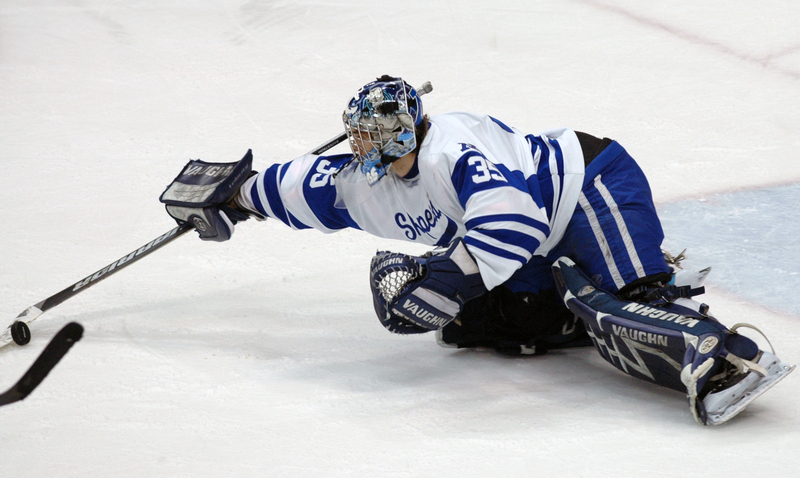 Both of Becker's shots came on golden chances and both were denied by the right leg pad of Kruger. 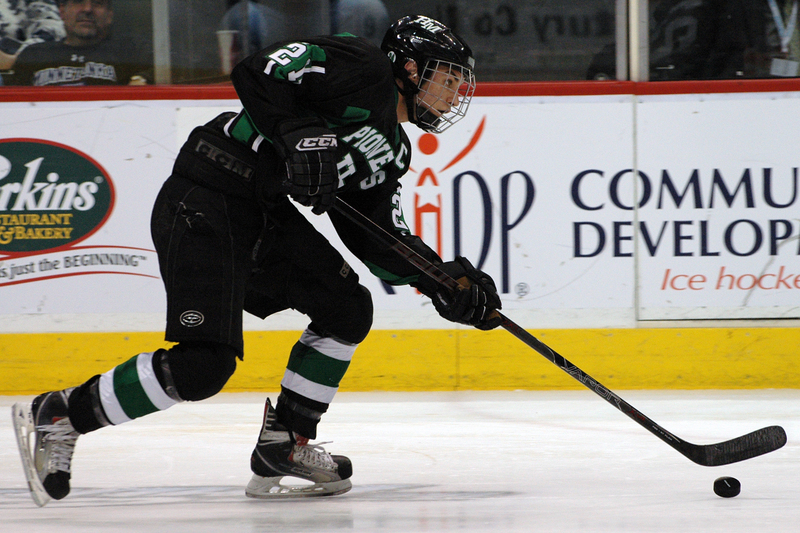 Hill-Murray does a lot of its work, in terms of goal-scoring, at the beginnings and ends of periods. In their quarterfinal win over Duluth East, the Pioneers scored four goals in closing and opening stages of the first and second periods. 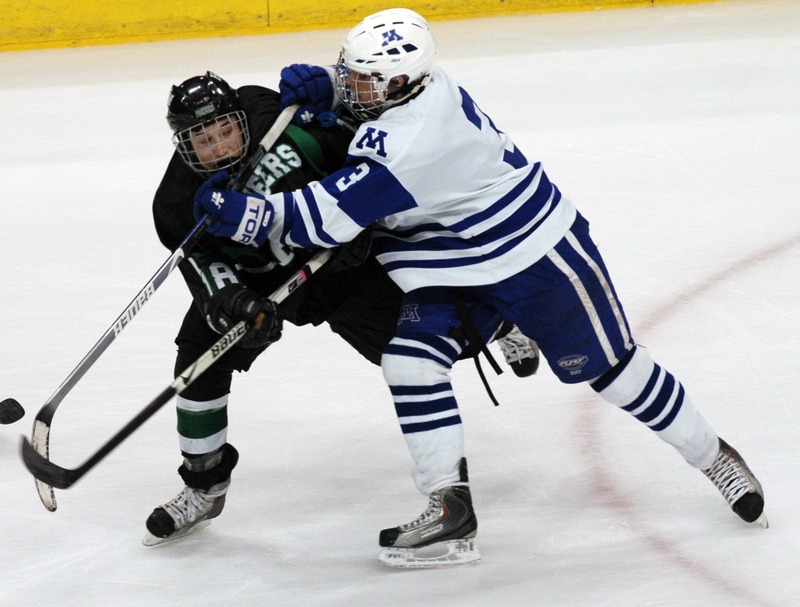 They scored their only goal in the first two periods against Minnetonka in the final minute of the first, and they had three of their best chances in the second period during the closing seconds. David Bruchu unloaded one shot from close range and Ryan Holler followed with two more as the period came to a close. 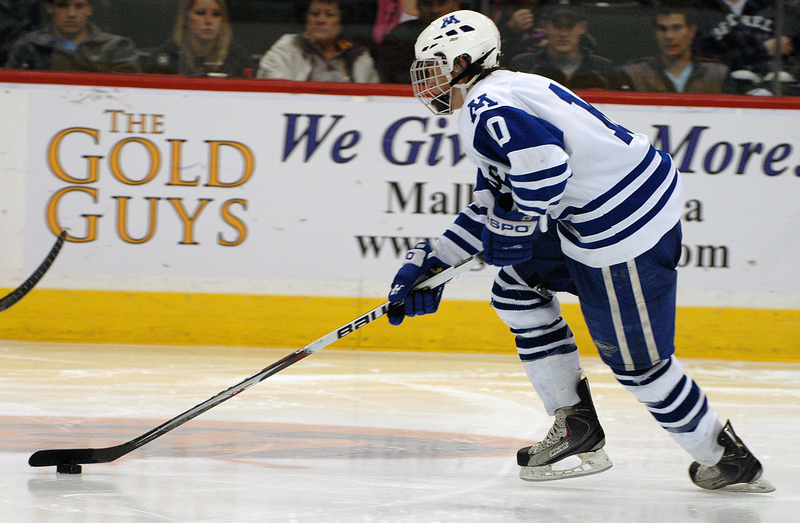 Those three shots were one more than Minnetonka had in the entire period.